Welcome To The Pot-O-Gold Giveaway! The Moms at The Kids Did It, Coupons and Lesson Plans and The Mommy Island along with a fabulous group of bloggers are excited to offer you a chance to win baby gear! This event features some of the latest trends in baby gear for 2014 to help make life easier for moms and dads. With 3 lucky winners each winning a prize package worth over $250! 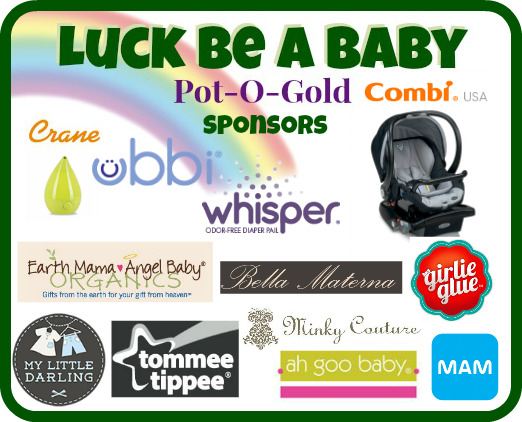 Join us as we celebrate babies with our Luck Be A Baby giveaway! 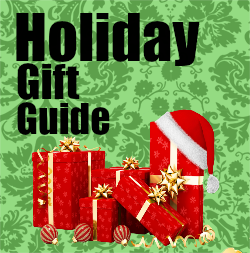 Three lucky winners selected by rafflecopter will each win a prize package valued at over $250! Open to readers in the US, 18 years and older. Open for entry from 3/10-3/17 at 11:59pm EST.Void where prohibited. One entrant per person per computer. Winners will have 48 hours to claim prize package or a new winner will be chosen. a Rafflecopter giveaway Neither this site nor the participating bloggers are responsible for prize fulfillment. I would like prize package # 1 for myself, but I would give the carseat to my grandma so that we don't have to switch mine back and forth when she babysits, or when we do things as a family. I would love the Prize Package #1 . We really need the Combi- Infant Shuttle Car Seat. I would like to win Prize Package #1 and I would keep it for my little one.